Real-time Energy Validation | Quad Infotech Inc.
Validate your energy consumption by benchmarking them against consumption models in real time. Create unique models for a specific process or product. Define automated warnings and notifications to monitor consumption breaches and abnormalities in your system. The curtailment system in Energy Methods allows you to quickly identify your consumption breakdown in real time. 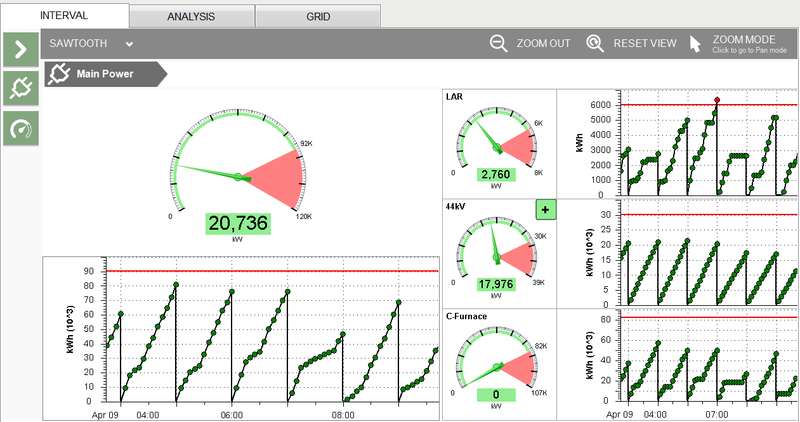 Drill down into meter readings to see sub-meter distributions. Define consumption limits for any period of time to avoid breaching energy curtailment. Limits can be defined per meter, and curtailment mode.